In "The Cosmonauts Are Just Passing by" a little girl makes great plans for her own future: to become Yuri Gagarin, and then Kurt Cobain, or at least a partisan like her grandfather, so that adults allow her to plant a pine tree in the schoolyard and thus to impress Konstanza, her eternal friend or her greatest enemy. And, as the girl changes her idols who always die under vague circumstances, and while she amasses experience and disappointments, her personal story is unmistakably associated with her country's story shortly before the big democratic outburst. 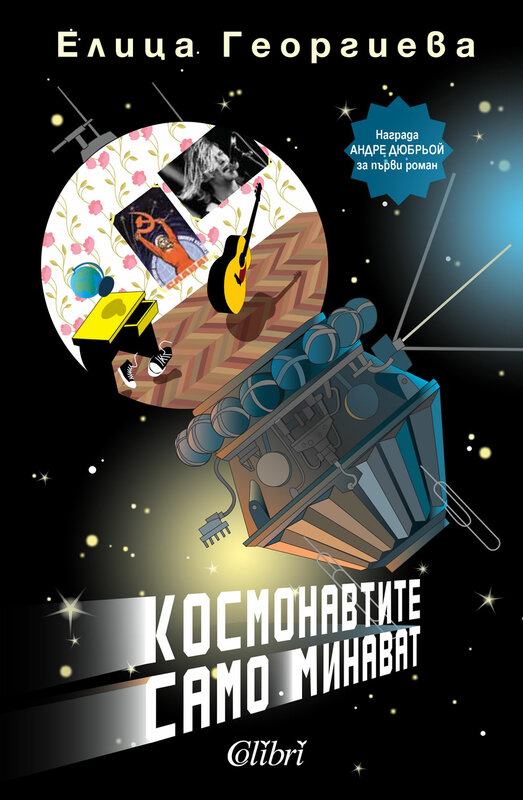 "The Cosmonauts Are Just Passing by" is kind of an autofiction written with self-irony and sad humor, with which Elitza Gueorgieva starts a promising literary career. After the novel fascinated the French readers with the naive wisdom of its heroine, now it will undoubtedly warm the hearts of Elitza's compatriots in Bulgaria.